The Finance Unit is based in Bruma at the Methodist Connexional Office. 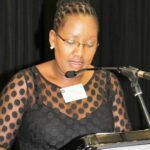 The Unit is headed up by the Lay General Treasurer of the MCSA, Mrs Thini Ngonyama. The staff are committed individuals who bring into the MCO varied skills, qualifications and experience. Pension/provident funds – The Finance Unit administers two pension and one provident fund. Total assets under administration amounted to approx. R1.5 billion at December 2015. Payment of stipends/pension – Over 800 Ministers, Evangelists and Biblewomen, as well as 700 Supernumeraries are paid monthly through the Finance Unit. The previous Excel format is no longer in use and will not be accepted by the MCO. All submissions for the 2015 year have to be completed using the new PDF forms. In order to complete the 2015 4C and 4S schedules, Adobe Reader (free version) has to be downloaded. The Schedules are completed using Adobe Reader (which can be freely downloaded here: Adobe Reader)A copy of the “Guidelines on how to complete the 2015 4C & 4S Schedules”, “Governance Form” and Policy on Effective Financial Management – 2015 Revised is also found below. Kindly contact Martie Hildyard or Johan Gouws on 031- 201 6424 or admin@mco.org.za for any assistance. The documents are all password protected and passwords have been sent to all the District Treasurers who will in turn forward the passwords to the respective Circuit Treasurers. An example of the 2015 4C PDF and 2015 4S PDF is available for download. Please note that this is an example to assist Treasurers with the new look format and does not reflect on any Circuit or Society.